New York, NY. — The proud mayor pulls out his cellphone to show off a picture of his beautiful granddaughter. A tattoo on his wrist peeks out from underneath his tailored suit. An earring glistens under the lights of the room. He talks of Thessaloniki being a proud beacon of hope to the rest of the world, not just Greece. 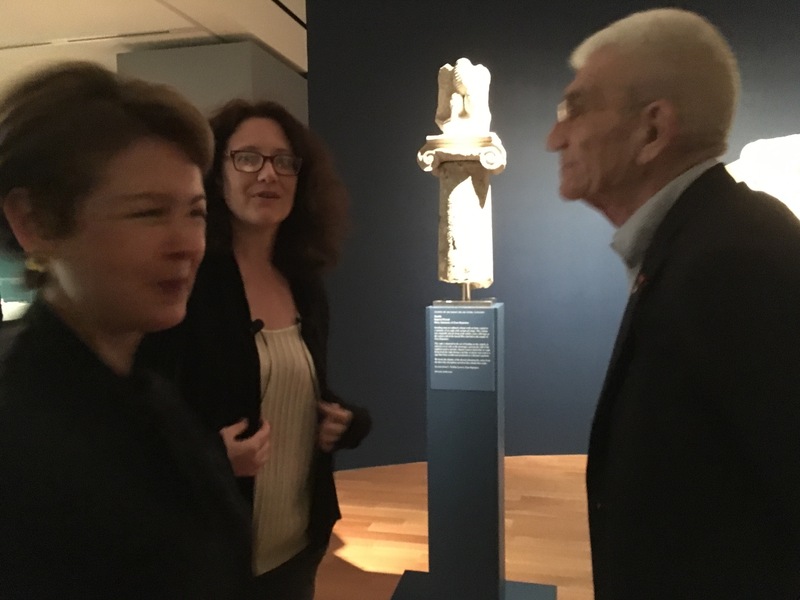 One immediately gets the sense that Yiannis Boutaris isn’t your average mayor. 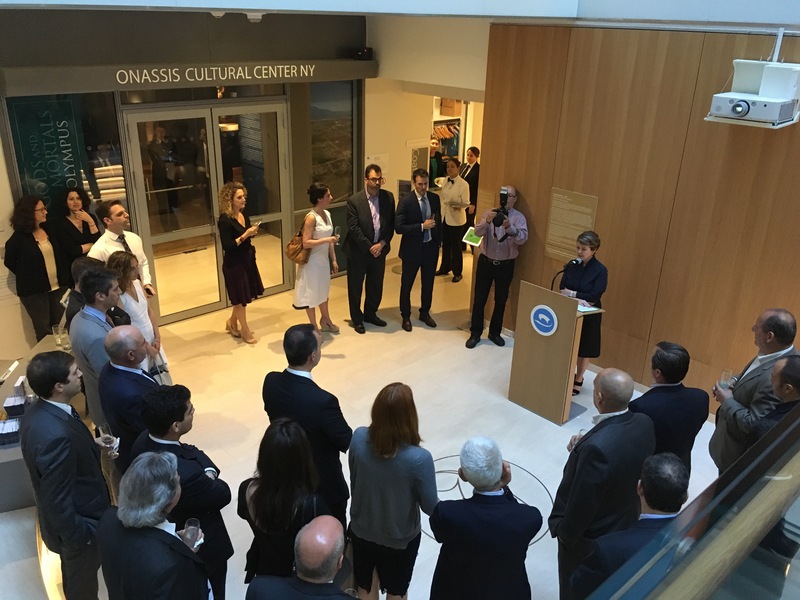 While in the United States to pick up an award and meet with other Hellenic leaders and groups, Mayor Boutaris took a private tour of the Onassis Cultural Center hosted by the Hellenic American Leadership Council (HALC) on May 31. 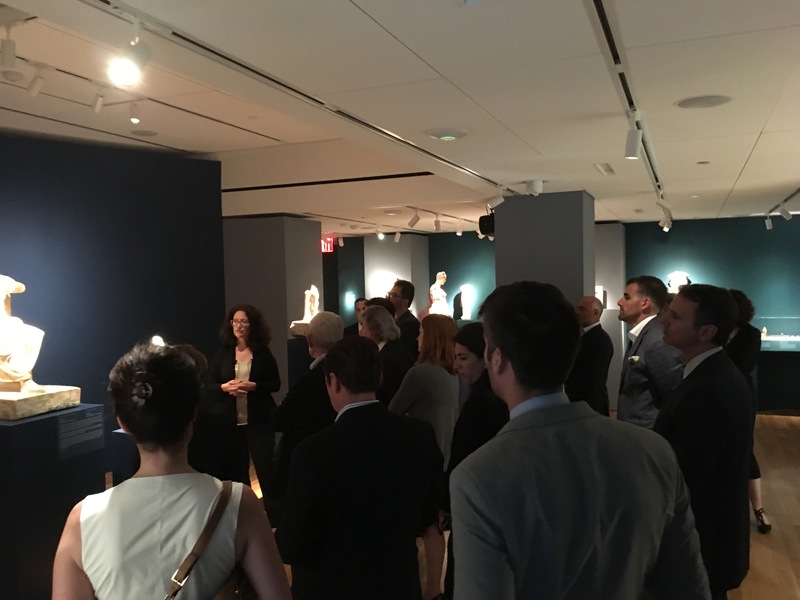 The private tour included a look at Onassis Cultural Center’s newest exhibit: Gods and Mortals at Olympus: Ancient Dion, City of Zeus. Whether this includes welcoming the LGBT community or recognizing the 50,000 Jews from Thessaloniki who were sent to the concentration camps, Boutaris is also at the same time trying to show the rest of the world just how valuable Thessaloniki is, and this trip to the United States was another way for him to remind Greeks and Americans alike of his mission. 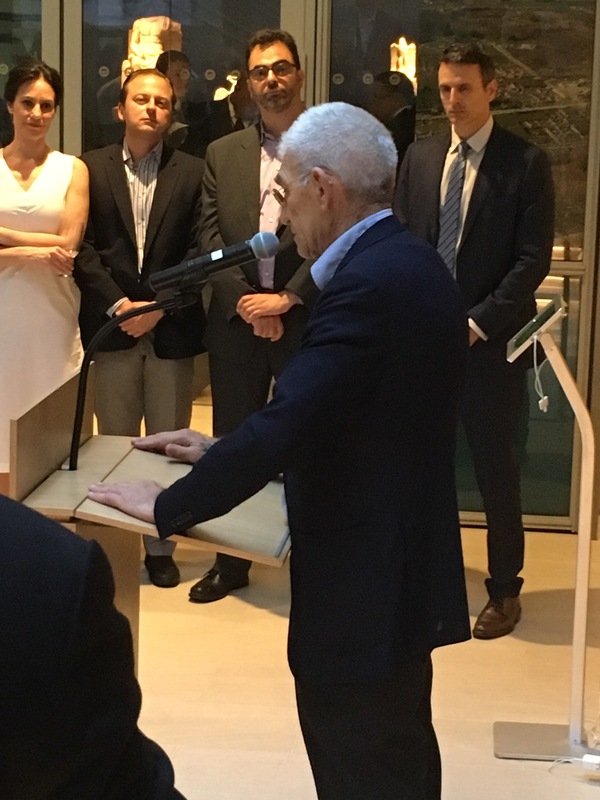 Matsikoudis says that’s why they feel a “strong spiritual connection” to Boutaris. 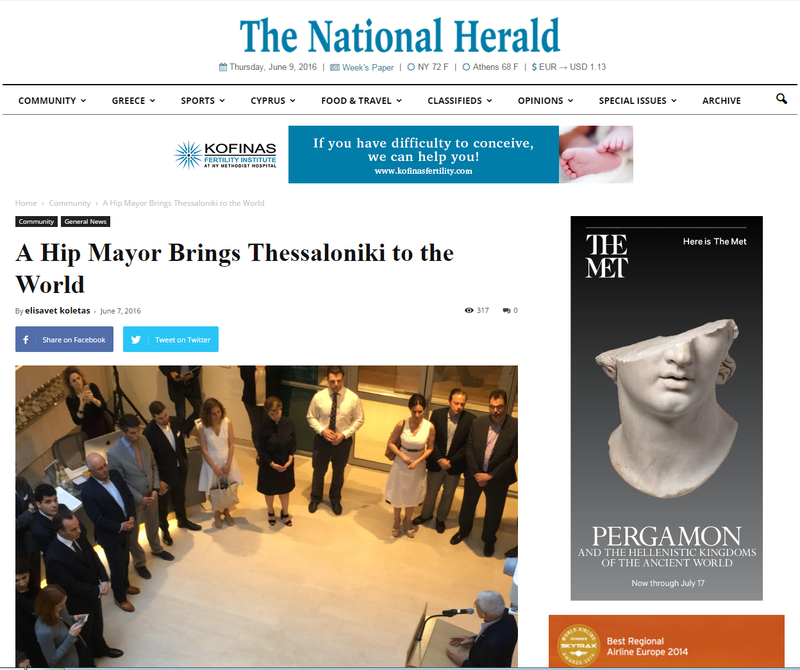 Matsikoudis, whose father is from Thessaloniki, is part of HALC in order to help promote Hellenic culture and believes the mayor is doing that while also not being afraid to speak his mind even when it is deemed controversial. “Combine that with the fact that he’s done a good job for the city” is the proof he feels that Thessaloniki should be highlighted as a way politics and business can come together for the good to accomplish great things in Greece.